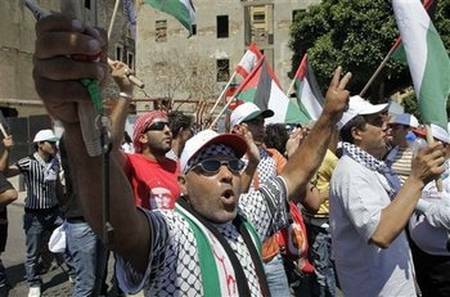 The Palestinians traveled in buses from Lebanon’s 12 refugee camps for the Beirut gathering organized by Palestinian and Lebanese non-governmental organizations. “Working is a right,” “We want to live in dignity,” read placards carried by the protesters. The majority of UNRWA-registered refugees live in dire conditions in the camps across and are denied basic civil rights. Under Lebanese law, Palestinian refugees can not own property or hold most white collar jobs (doctors, engineers, lawyers, architects) and are stuck in low-paid employment. They are also denied social security and medical aid in state hospitals. (b) To desist from further removal of refuges and destruction of their shelters. The only way a ‘refugee’ could leave the camp, said the PLO, was by returning to his ancestral home in Israel, even if he was a multi-generational descendant of an original refugee, and today there are about 4-1/2 million claiming this status. Unlike all other refugees, Palestinian refugee status — which entails both a deprivation of human rights and a lifetime welfare benefit — is hereditary. UNRWA, the agency that feeds them, has structured its benefits so that it is profitable for refugees — for whom there is no work or who are not allowed to work — to have large families. The truth of the matter is that the so-called refugees have three functions: a moral club to beat Israel with, a reservoir of violently hostile and unemployed young people to serve as terrorists, and an army with which to overwhelm Israel demographically. A clearer-cut case of the denial of human rights — a hereditary denial of human rights yet — cannot be found anywhere. Funny that it hasn’t been taken up by the UN Human Rights Council, isn’t it? This entry was posted on Friday, July 2nd, 2010 at 3:20 pm and is filed under General. You can follow any responses to this entry through the RSS 2.0 feed. Both comments and pings are currently closed. If there had been real concern by Arabs for other Arabs , real concern by Arab leaders for their own people there would have been ‘peace’ long ago. However it is important to note that Arab inhumanity to Arabs has also proved damaging to Jews. If they really cared for the well- being of their people there would have been compromise and peace a long time ago.